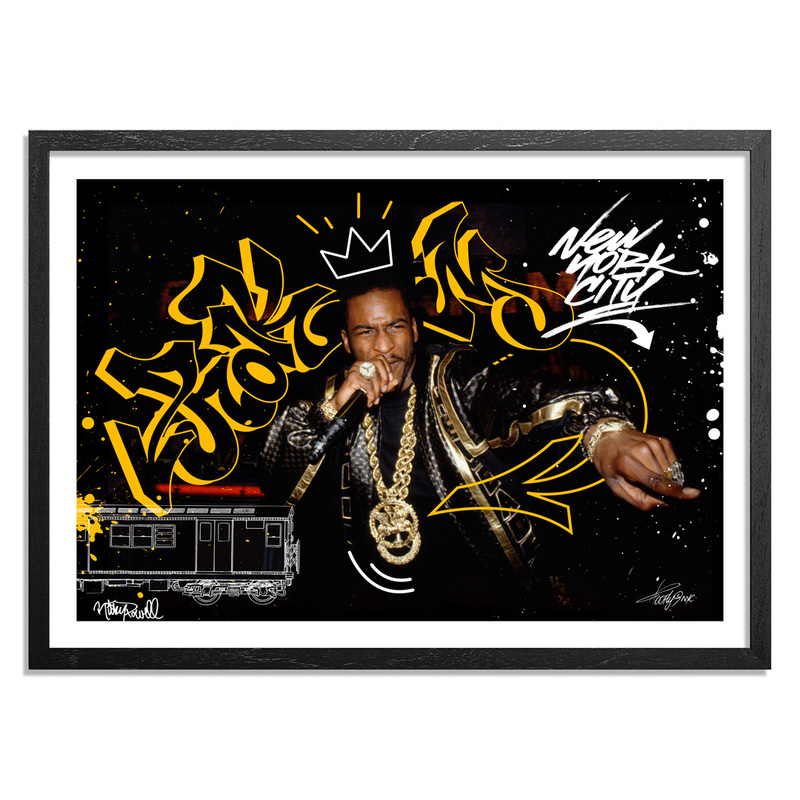 HOME / ARTISTS / Toofly / I Ain't No Joke - Hand-Painted Multiples - Rakim - Apollo Theatre. New York City. 1988. 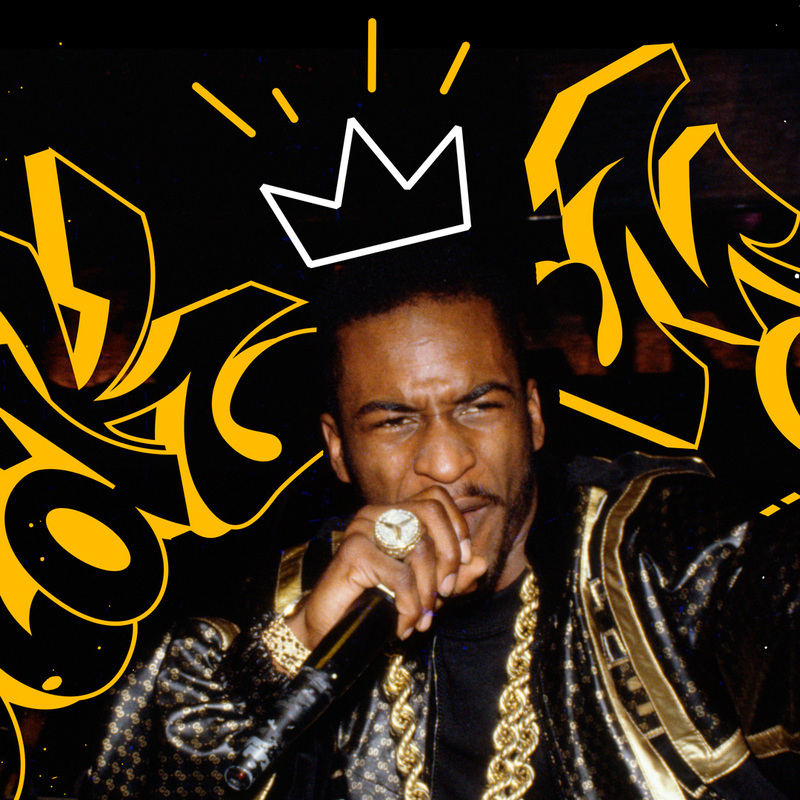 I Ain't No Joke - Hand-Painted Multiples - Rakim - Apollo Theatre. New York City. 1988. This RUN is signed, numbered and comes with a Certificate of Authenticity from Toofly, Ricky Powell and 1xRUN. Toofly’s journey into the world of art began with her commute to public school from her Corona, Queens neighborhood. Her trips were filled with adventurous sketches as she immersed herself in the myriad of graffiti tags, fill-ins, and outlines viewed on almost every deconstructive surface along the way. It was precisely the rebellious artistic spirit of the 90′s street graffiti movement that drove Toofly to join its subculture ranks. Highly influenced by the calligraphy and illustration skills of some exceptional writers at the time, a teenage Toofly aspired to become the female version of what she most admired. 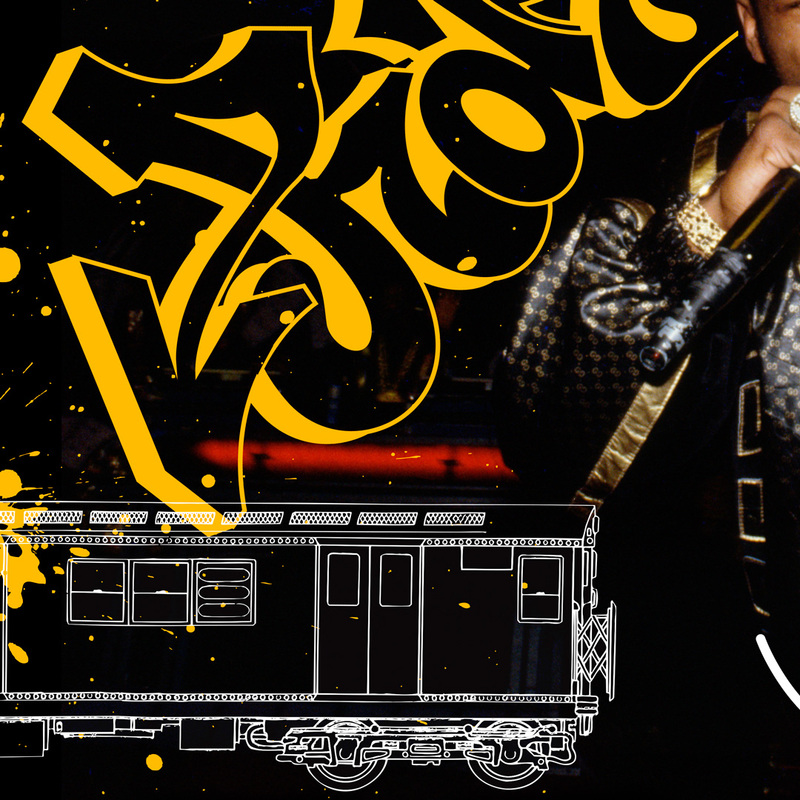 She began to develop her own knack for “hand styles” and her unique Toofly characters. Her work soon blossomed on various graffiti black books, allowing her skills to be recognized by writers across the five boroughs. By the time Toofly entered the School of Visual Arts (SVA), she had introduced her character to the walls of New York. At SVA, she applied her artistic skills to illustration and graphic design coursework. Finding inspiration in the New York urban landscape, this artist in the making began to juxtapose her “around the way girl” character against multi layered street imagery for various print and public street art projects. Toofly’s constant and active role in the hip hop community allowed her to remain true to her roots, as she continued to draw raw feelings from the ever-changing and spontaneous public art world around her. Her most recent projects include her independent artist collection made up of art prints and fashion accessories. In 2007 Toofly co-founded a female urban arts collective entitled Younity which is steadily pushing forward with visual art exhibitions, and art programs for young women in the arts. 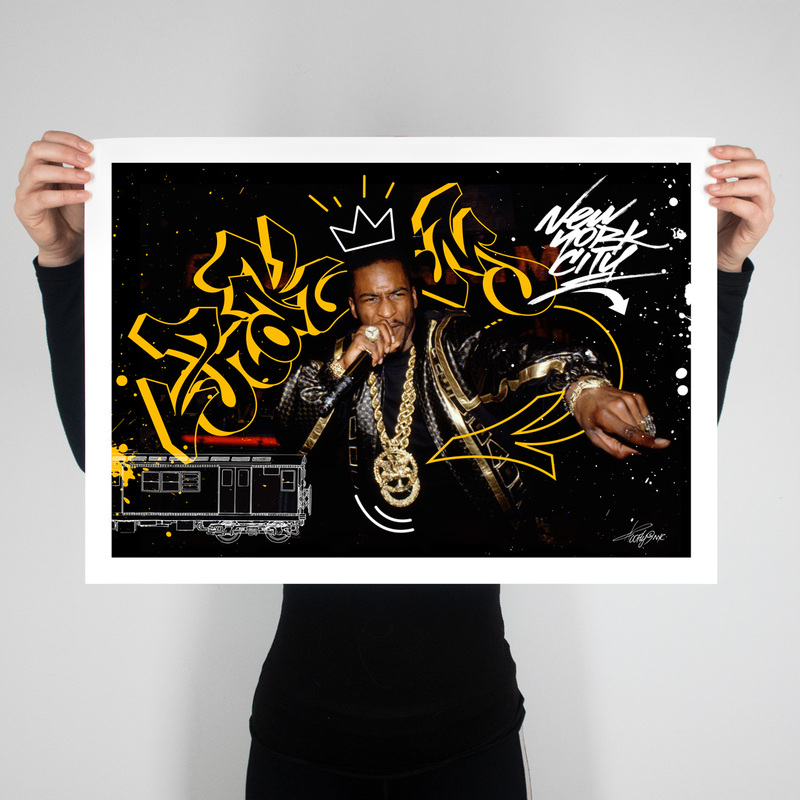 Toofly’s art and design work have appeared in various books, video, and magazines such as Graffiti Women, Burning New York, Current TV, MTV Tr3, Trace, YRB, Juxtapoz, and Marie Claire. 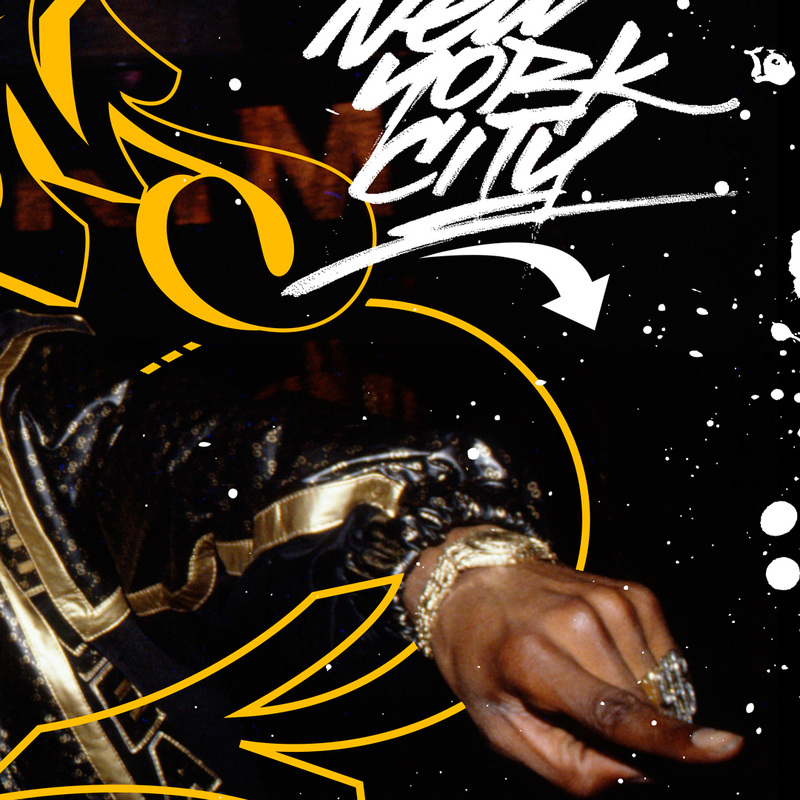 I Ain't No Joke - Standard Edition - Rakim - Apollo Theatre. New York City. 1988.